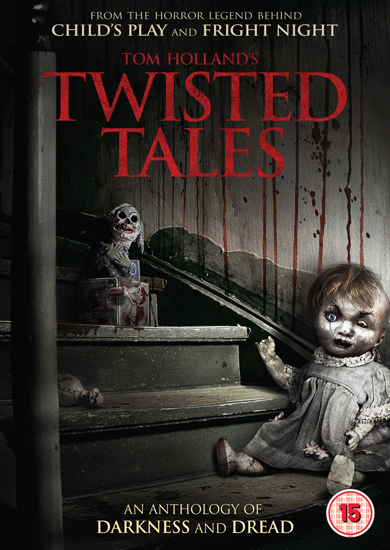 There are frights and laughs aplenty in this macabre collection from Child’s Play and Fright Night director Tom Holland, that updates some classic horror tales from the darkside for the digital age. A new psychotic drug with the power to see into the future reveals a shocking, mind-melting fate for the characters of ‘Bite’, while Mongo The Magnificent (Ray Wise) comes face to face with horror with a mirror unlike any other. A Saw-like trap ticks throughout the intense ‘Boom’ starring Noah Hathaway (The Never-Ending Story) and dire consequence are in store when you make a contract with a demon from Hell in ‘To Hell With You’. Turn left at the next roundabout and face your doom as ‘Fred & his GPS’ take a trip Fred (AJ Bowen) will never forget. Or stay in and order yourself a pizza… from Hell in the hugely entertaining two parter ‘Pizza Guy’ as the twisted tale ‘Shockwave’ brings the classic Twilight Zone episode of Mulberry Street into the present with an apocalyptic nightmare you’ll never forget. Feast on the blood of the living in Tom Holland’s return to the vampire genre after Fright Night with ‘Vampire Night’, before you discover the twisted truth in ‘Cached’. A wicked brew of terror and tongue-in-cheek humour, Tom Holland delivers the goods.